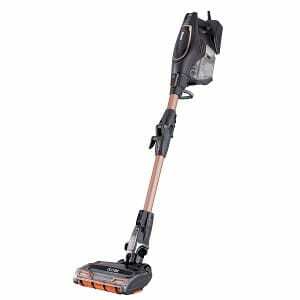 The Vax U90-MA-Re Air Reach is an upright vacuum that is among the cheapest that Vax has to offer. 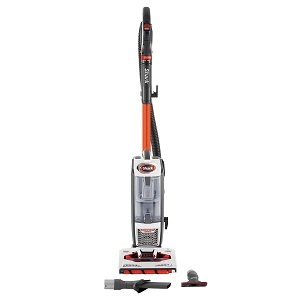 It has a good range of features for the price, including multi-cyclonic technology, a TurboTool which is ideal for pet hair, and a long reach hose to tackle hard to reach areas.It is also surprisingly lightweight for an upright vacuum, making the U90-MA-Re Air Reach a solid performer at a reasonable price. The Shark vacuum company has grown quickly in a short space of time and can now be recognised as the true competitor to Dyson. 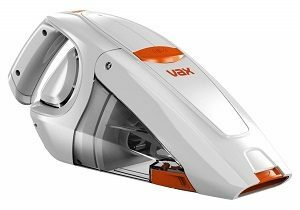 Part of this is due to the innovative features and technologies that come with every new generation of Shark vacuum.The Shark IF260UKTH is no different, with the new features making this one of the best cordless vacuums on the market. Improved battery life, DuoClean and Flexology technologies, and a fully-sealed filtration system mean that this latest Shark cordless vacuum is a match for even the latest Dyson. 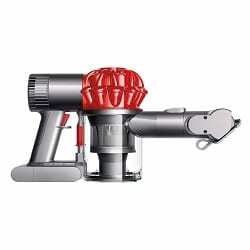 With the release of the Cyclone V10 cordless vacuum, Dyson announced that it would no longer produce corded vacuums. Now that the V11 is here, that seems to be a decision that has paid off.By putting all of their resources behind this latest generation of cordless vacuums, they have produced a fantastic vacuum that will ensure you say goodbye to the cord for good.The Dyson V11 Absolute isn’t cheap, and this will be the main reason that holds customers back from purchasing one. It really is an excellent piece of kit though, with better suction, intelligent sensors, and even an LED screen to alert you of any problems, all of which make the high cost justified. Imagine setting up a dinner date at home and realizing you forgot about appetizers. So, you drive to the shop and when you get back you step some dirt onto the carpet. Now you must haul your vacuum from the cleaning cupboard and find a socket before being able to tend to the spot. It wastes another 10 minutes of your time and you still have to get dressed. Shark aims to be the solution to all our problems. The Shark Duoclean IF250UK features a fresh design and the advanced technologies combined with said design promises highly efficient cleaning. There are 4 models in the Duoclean IF range. The basic model and the cheapest is the IF200UK, which comes with a single battery and is blue in colour. The IF250UK is the same as the IF200UK, except that it comes with two rechargeable batteries instead of one and is orange in colour. 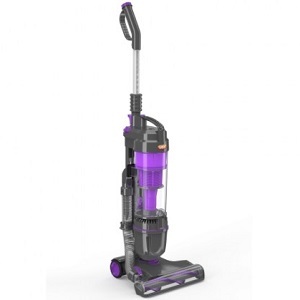 The IF200UKT has a single battery and comes with a Pet Power Brush attachment, and is purple in colour. The IF250UKT is the most expensive of the range and comes with the Pet Power Brush attachment, two rechargeable batteries, and is silver in colour. Today we are looking at the Shark Duoclean IF250UK model. 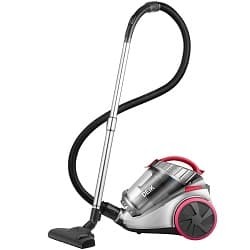 Henry Hoover is among the most popular vacuum cleaners in the UK, and today we are going to look at another of Henry’s siblings. Hetty Hoover is Henry’s sister and she is also a member of the Numatic family. Numatic has always put a lot of hard work into perfecting their brand and Hetty won’t disappoint you either. 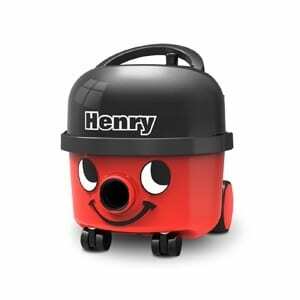 Hetty is designed almost identically to Henry, with the only major difference being the colour (and the eyelashes). Hetty comes with a number of extra features and also has Eco technology, helping you consume less power and save money. 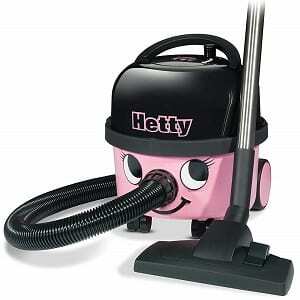 Despite her lower wattage, Hetty provides powerful suction thanks to her twin flow power motors. She can even switch between higher or lower power, depending on your cleaning needs. You might be surprised at how powerful and effective this little thing is. 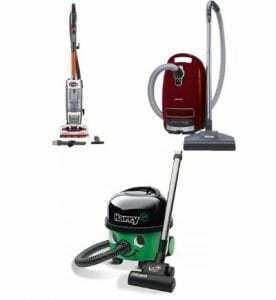 Read on as we go through the features and benefits of Hetty Hoover. 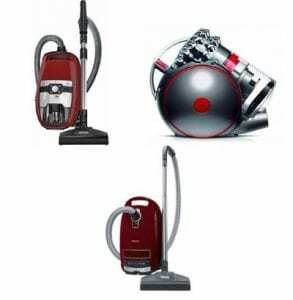 The George Hoover vacuum cleaner is a clear indication of just how ambitious Numatic has been over the years. 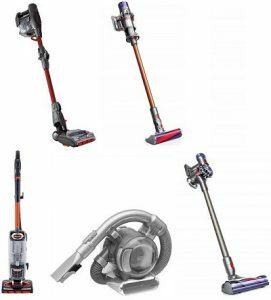 Despite their achievement with the Henry Hoover, they have still remained focused and relentless in their efforts to bring us the perfect vacuum cleaner. Although George Hoover may not be perfect, it does bring a whole new perspective to vacuum cleaning. George is not your typical Numatic cleaner as it surpasses most of its brothers in terms of the scope of work it can do. 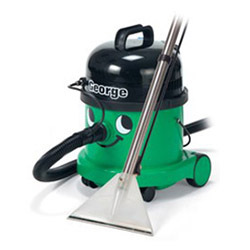 George can be referred to as an all-purpose or an all in one vacuum cleaner, and you won’t need any other cleaning appliance when he’s around. 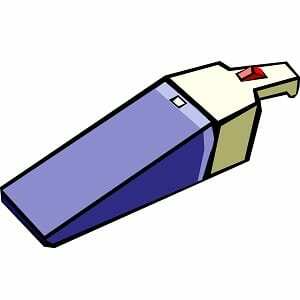 Vacuuming your home can sometimes be a bit of a chore, more so if you’re using the wrong kind of vacuum cleaner. Reliability is key as you want to get something that will not only get the hard to reach places but is also versatile enough to handle both dry and wet floors, tiles and even carpets. 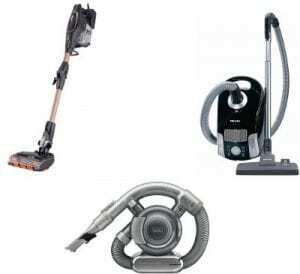 When it comes to corded vacuum cleaners, the Charles vacuum cleaner has features that enable you to vacuum and clean your carpets. 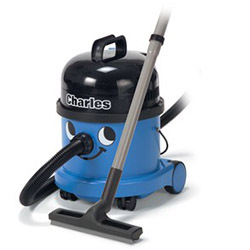 Charles is part of the Henry Hoover range, and while he is larger and more expensive than most of the Numatic range, he is a wet/dry vacuum cleaner which reduces the need for a carpet cleaner. 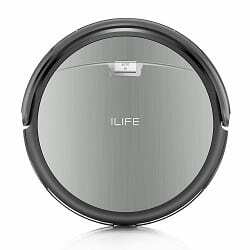 Read on as I go through all the features and benefits in this Charles vacuum review. 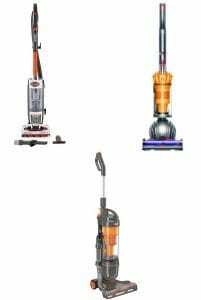 Henry Hoover HVB160 Cordless Vacuum Cleaner Review – Is This The Best Henry Model? 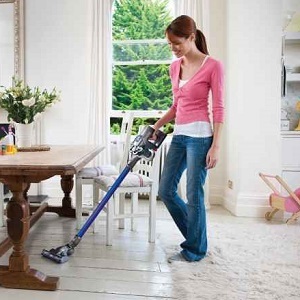 Cleaning can’t get any more friendly than the Henry Cordless Vacuum Cleaner by Numatic. And by “friendly” I mean both user-friendly and, well, jolly. This little fella makes cleaning hard to reach, unconventional, and everyday spaces easier than ever — all with a happy smile on his face. This cordless vacuum is similar to the original Henry Hoover, with the most obvious change being the lack of a power cord. While this does make him more expensive than his corded counterpart, the convenience more than makes up for it. 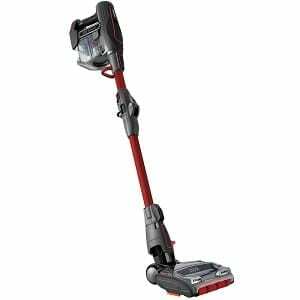 It’s worth mentioning that Henry Hoover Cordless is also efficient, easy to maintain, and surprisingly portable. 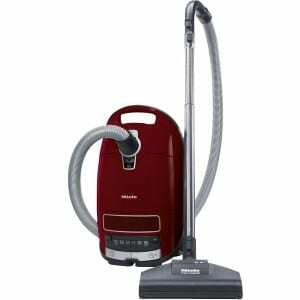 Numatic vacuum cleaners are known for their superb performance and reliability. 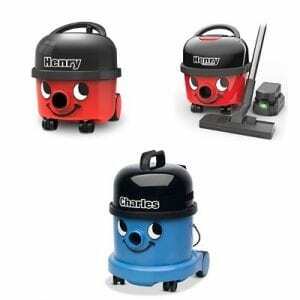 Numatic International limited has made a variety of vacuum cleaner models over the years including the likes of Henry, Charles and George. 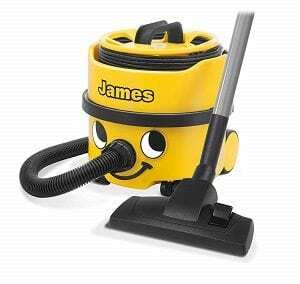 The main feature today will be a recent instalment into this series of Numatic cleaners going by the name of James. The big question is how does this vacuum cleaner fair against its iconic siblings? To answer this question we will need to dig deeper into its features and find out the advantages it brings as well as the disadvantages that follow. This complete review will help you make a well-analyzed decision on whether you should go for the vacuum cleaner or not. Dyson is one of the most well-known brands in the vacuum cleaner industry, founded by UK manufacturer James Dyson. 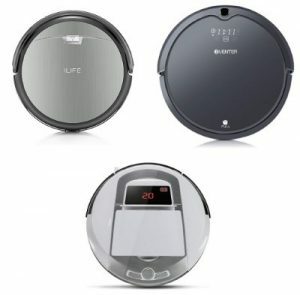 They are the inventors of the cordless vacuum cleaner and have them in a variety of models. 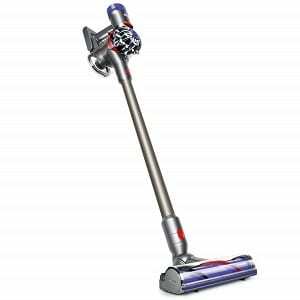 The Dyson V8 Animal Vacuum Cleaner is an improved version over previous models, such as the V6. Features include a larger dust bin and longer 40-minute runtime. The Animal version of the V8 is made for homes with pets, but even if you don’t have pets it is still a good option. The V8 comes with a higher price tag than the V6, and it is cheaper than the latest V10. To find out how this cordless vacuum performs, read on as I put it through its paces. 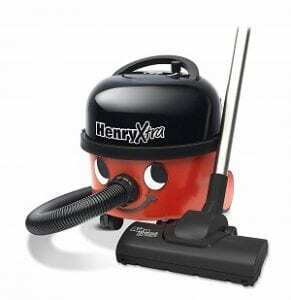 Henry Xtra is a clear example of why some people swear by the Numatic brand when it comes to purchasing a vacuum cleaner. 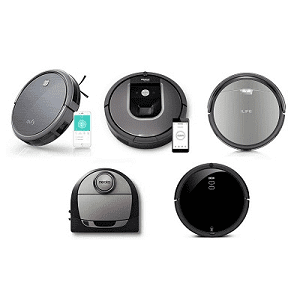 This particular vacuum goes over and beyond by providing additional features that make it a stronger cleaning tool than many other alternatives in the market. The vacuum’s physical design might not make it appear like this is a powerful cleaning tool, but beneath the knowing smiley face lies powerful cleaning potential that has left many people feeling fortunate that they choose this vacuum over other alternatives in the market. 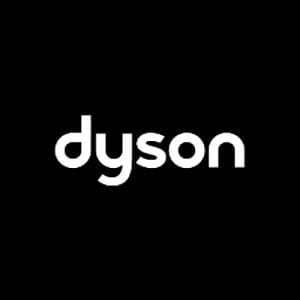 It’s safe to say that the Dyson brand is well known to be among the best when it comes to vacuum cleaners. Dyson pioneered the cordless vacuum, and they are so confident in their cordless vacuum cleaners that the company’s founder, James Dyson, recently stated that the UK manufacturer will no longer research or build corded vacuums. 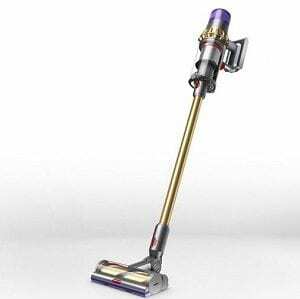 It was the introduction of the Dyson V6 cord-free that changed the way we look at cordless vacuums. 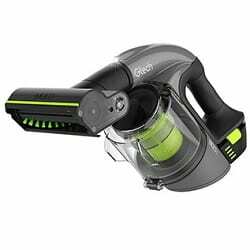 It is a huge improvement over previous cordless models with improved battery life, larger dust canister, and more powerful suction. Since the release of the V6 in 2015, Dyson has released a range of upgraded models such as the V7, V8, and V10 Cyclone. While the V10 is the latest model and boasts much-improved features over the V6, it is 2 -3 times more expensive. Cleaning is a hard task and if you have pets at home, this task just gets tougher. Dogs and cats leave tons of hair and fluff all over your furnishings and carpets that aren’t just unappealing to look at but can also cause allergies and other respiratory issues. One of the best products in the market for keeping your house clean when you have pets is Miele’s Complete C3 Cat and Dog Powerline bagged vacuum cleaner. As a part of the company’s Cat and Dog Range, this particular appliance is a godsend for pet owners as it uses a special brush to remove hair, fluff, coarse particles and fine dust with great ease. Autumn is a beautiful time of the year but can easily turn into a nightmare when you see large piles of dried leaves hanging around your front porch or backyard. Not only are they aesthetically not pleasing to the eye (except in pictures of the fall), they can also be a nuisance to your health because of all the slippery surfaces. 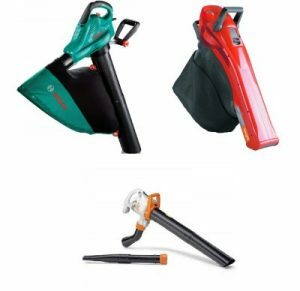 Clearing them out on a regular basis can be a task that most of you probably don’t enjoy but that’s where garden vacuums and blowers come in. 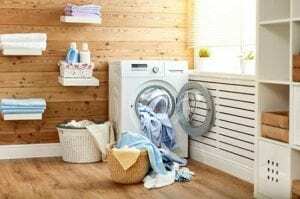 These appliances are easy to use and make getting rid of those dried leaves literally a breeze. The Stihl SHE 71 is a multi-function appliance that can be used as a garden vacuum, a shredder, as well as a leaf blower, making it a great investment if you’re looking for an all-in-one garden-cleaning device that will work wonders in both homes and gardens of all sizes. I don’t enjoy seeing dirt stuck on the innumerable flat surfaces around my house. As you go around vacuuming your place, there is a part that gets left out pretty often – the windows. Windows can get particularly mucky because of excessive condensation, and forgetting to clean them regularly just makes the task harder when I finally get to it. This is where the Kärcher WV5 Premium rechargeable window vacuum cleaner comes into the picture, making cleaning a breeze. And don’t think its benefits are limited to just the windows of your house. It can also be used on mirrors, shower screens, tiles and getting rid of things spilt on the floors and worktops. Companies are coming out with specialized vacuum cleaners that not only help you clear out dust and other substances from your furnishings and floors, but also concentrate on pet hair. Most of us have different furnishings around the house, like upholstery, curtains, carpets and rugs, which can collect huge amounts of dust. While it’s great that there already are different tools that we can use to deal with all these surfaces, don’t you think it would be much nicer if one machine could be used to do all the work? The good news is, there is a vacuum cleaner on the market, that fulfils exactly this criteria! If you’re looking for a handy vacuum cleaner that can cover all of your cleaning needs, look no further than Shark’s IF200UKT DuoClean Cordless. 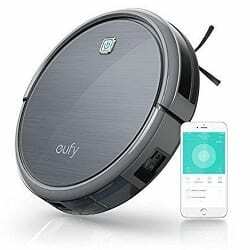 Thankfully now, people like us don’t have to worry about tasks like vacuuming, because the iLife A4s robot vacuum cleaner is here to save the day. 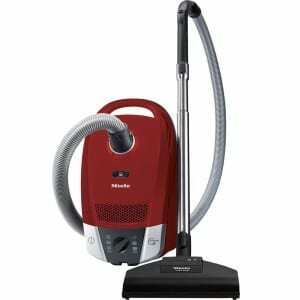 The Henry Compact HVR 160-11 is one of the many vacuum models of the Henry Hoover Range. 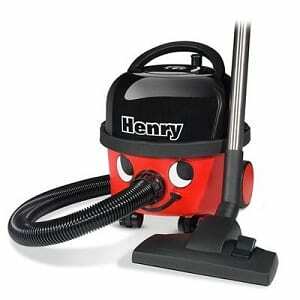 The Henry is one of the UK’s most popular vacuum cleaners. The HVR 160-11, in particular, has been designed to provide all the features of a conventional vacuum cleaner in a compact body with easy access and convenience. 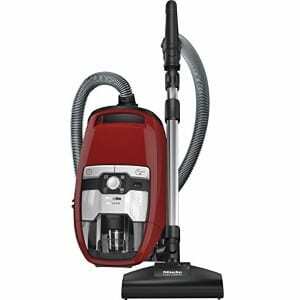 Last year the European Commission banned vacuum cleaners that had a maximum power consumption exceeding 900W. Previously, this limit stood at 1600W. The new rules also require vacuums to emanate noise under 80 decibels. The reason this step was taken was to reduce overall household energy consumption and to reduce pollution levels. The Dyson Light Ball Multi Floor vacuum is part of this new generation of vacuum cleaners. 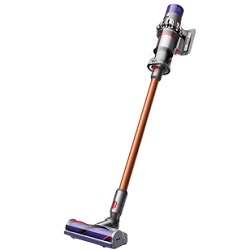 The features that made Dyson’s Ball vacuums popular are all available in this new model, except the power which has been trimmed. But that doesn’t affect the performance of the vacuum. The Shark Duoclean Powered Lift-Away is an upright vacuum cleaner that can handle most cleaning tasks. The Lift-Away technology ensures that it has all the benefits of an upright, with the added advantages of a handheld or stick vacuum. This versatility makes it one of the best buys on the market at this moment in time. The Gtech Multi MK2 is a handheld vacuum designed to clean everything from car upholstery to stairs. This cordless device comes with a wide range of accessories and tools. 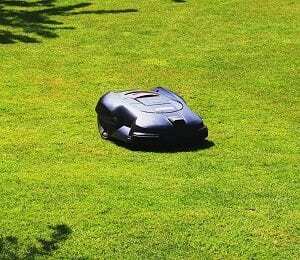 It promises to take care of anything a traditional vacuum cleaner finds difficult. For instance, small crevices, curved surfaces and awkward nooks are not easily accessible to the pull-along vacuum cleaner. Dyson is a household name for every kind of vacuum cleaner. 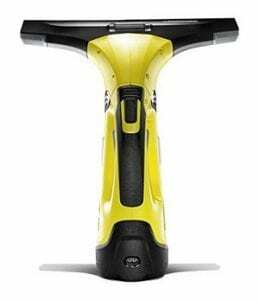 The Dyson V6 Car+Boat handheld is an exceptionally versatile device to clean surfaces and upholstery in cars, boats and even at home. Designed specifically for cars and boats, this model has great suction power (28 AW on normal mode and 100 AW on maximum) and comes with a wide range of accessories to manoeuvre the surfaces in your vehicle. With a Dyson digital V6 motor, the Car+Boat unit is among the most powerful cordless handheld vacuums. It is also lightweight which makes it a delight for easy storage and function. 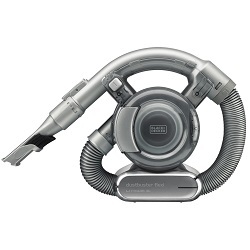 The DC58 is one of the latest products from Dyson. 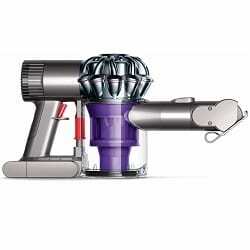 It uses cyclonic technology and is powered by the Dyson digital monitor V6, which spins up to 110,000 times a minute. In other words, it claims to have the ability to spin three times faster than other motors. Its 350W motor helps the machine produce a powerful suction, also enhanced by 2-Tier RadialTM cyclones. A vacuum cleaner is an essential buy to keep your home dirt-free and hygienic. 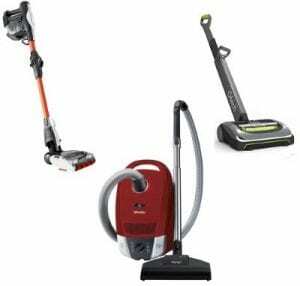 There are several varieties of vacuum cleaners available in the market today — cordless, robotic, handheld, canister, etc. The one I will be reviewing is the Deik Cylinder vacuum cleaner.